Posted on Monday, October 12th, 2015 at 8:55 am. Gennady Golovkin (33-0, 30 KOs) will headline this Saturday’s card at the famed Madison Square Garden in New York. Golovkin will take on the heavy handed David Lemieux (34-2, 31 KOs) in a 12 round middleweight unification. The bout will be aired on HBO Pay Pay Per view. It is expected to be an explosive showdown between two fighters with two of the highest knockout ratios currently in the sport of boxing. The co-feature preceding their bout could very be the fight of the night. 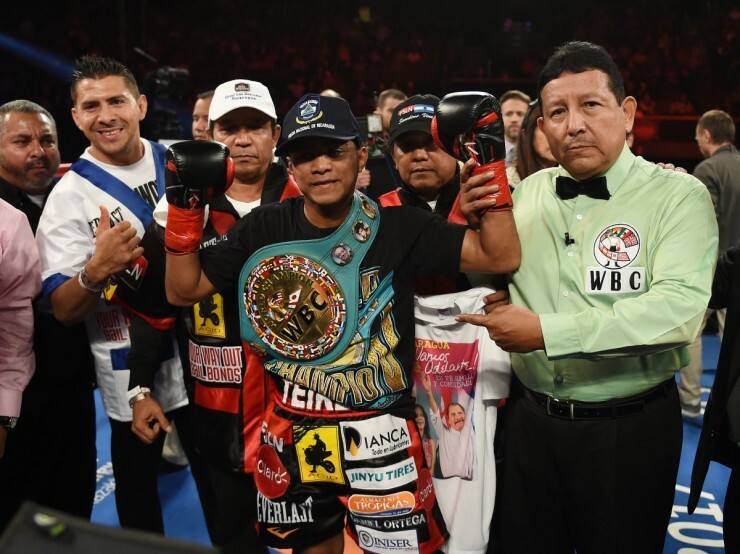 It will showcase unbeaten flyweight world champion Roman “Chocolatito” Gonzalez (43-0, 37 Kos) vs. former multi division world champion Brian Viloria (36-4, 22 KOs). The flyweight division is one of the hottest in boxing. Gonzalez is no doubt the divisions’ top guy but Viloria has been very solid in recent years defeating some of the other top guys in the division. In fact his only loss of late was by split decision to Juan Francisco Estrada. Ironically Estrada gave Gonzalez his toughest fight a few years back dropping a very competitive decision. Many mainstream fans got to see Gonzalez for the first time in his last fight vs. former world champion Edgar Sosa on HBO. Sosa at the age of 36 is considered a bit old for a flyweight but had beaten some decent competition of late. Gonzalez completely dominated Sosa as no one had done. Gonzalez made a huge impression on those watching the fight. He was immediately must see TV. The public will know get what they want. In fact they may get much more than they want as Viloria will be the hardest puncher that Gonzalez has faced. Sosa upset Viloria many years back but as they say in boxing styles make fights. Gonzalez has a very high work rate but defensively he is there to hit. There is much being said of Gonzalez’ punching power and rightfully so. It will be very interesting to see how he stands up to Viloria’s punching power. Gonzalez’ fight with Sosa was on the undercard of Golovkin’s last fight where he knocked out Willie Monroe Jr. Gonzalez’ performance seemed to take some shine off of Golovkin’s victory. The very same thing could happen in his fight with Viloria Saturday night regardless of who wins. WILL ROSADO FIGHT ON BIG STAGE? WHAT FIGHTS ARE WE GOING TO SEE ON SATURDAY?